Every time a daughter scratches her head, I have a fight or flight response. Epinephrine raises my heart rate through the roof as I lunge for a flashlight to inspect their scalp. 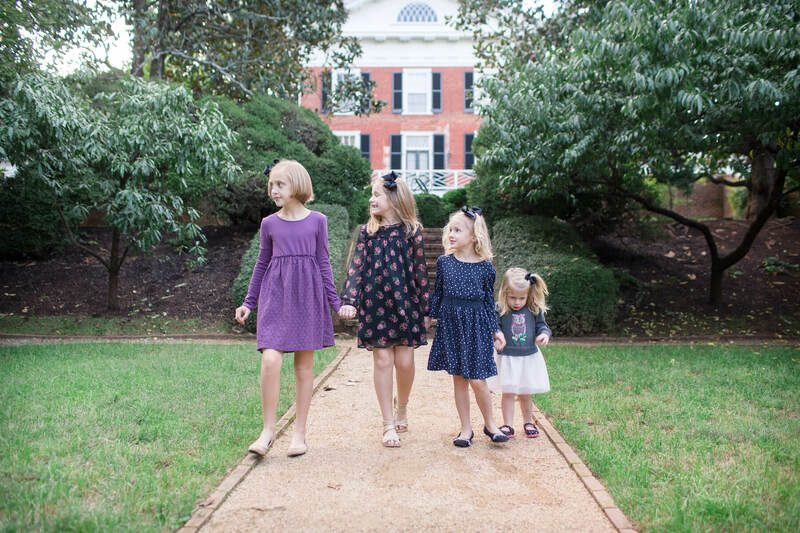 Though it has only infected our house twice in a decade, head lice has left it’s imprint on my mind, which I couldn’t erase if I tried my very hardest. Treating head lice an undertaking that requires a ridiculous amount of time and mental energy. I strongly recommend the following plan of attack, followed up by an exercise for decompression. 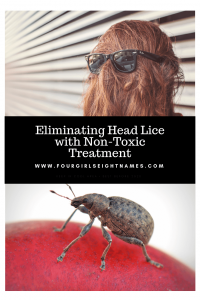 The best resource we have discovered so far is Nuvo Treatment for Head Lice. It involves Cetaphil Cleanser, which we appreciated for its non-toxic and highly effective way of treating the situation. Some of the chemical treatments are proving less effective over time, as the strong critters are determined to evolve beyond it. If you make a purchase using one of the links on this page, I will receive a small commission, at no cost to you. Cetaphil cleanser: I bought the lotion the first time, which worked to eradicate the lice, but took FOREVER to dry. We used an icing tube to make application easier. Fine toothed combs, plus a new set of brushes to use while you are sterilizing others. I usually buy plastic, since they have to be sterilized after use. If you have children with long hair, buy new hair elastics, and put all hair accessories and hats in an airtight container for two weeks. It is helpful to braid longer hair after treatment, as a rougher surface deters lice. Plan to change out all the sheets and towels, as well as to dry all the bedding in your household the day that you complete the Cetaphil treatments. I put all the pillows through the dryer as well. Some instructions say to vacuum your entire house every single minute you are awake, but I have found that a general once over is sufficient. Robicomb: This is great for finding, and killing, live lice, but beware, it does make a lot of noise, which my sensory sensitive children did not appreciate. Some schools and daycare require that you remove all the nits (eggs) from the hair before the child can return. If this is the case for you, plan about an hour to complete this the first time. Nits are really hard to see, as they usually blend in with the child’s hair. It might not be necessary, but we always treated our whole household when one child brings home lice. During both instances, this has resulted in only one of the six of us contracting the critters. All the wine. And a screen to make your wiggly ones hold still during treatment. Organization is key when building a plan of attack, as well as educating your children as to how to avoid contracting the pests in the first place. Keep in mind, adults and children do not have the same understanding of what it means to avoid contact with things that go on other people’s heads. My oldest daughter is the perfect example–she will lecture anyone who will listen at the library that they shouldn’t use the communal headphones, but then brings home a picture of her wearing a football helmet that the whole class tried on during an assembly. Again, wine. All the wine. There are a handful of products out there that prevent head lice. We have found that the Fairy Tales hair products, particularly the daily conditioning spray, plus the shampoo and conditioner, are helpful. Plus, they smell really nice. And if your life has to include head lice, or even the threat of it, this should smell like a garden of roses. I think that there is a lot of misconception out there about Lice. Thanks to working with preschoolers, I’ve had more than my fair share of experience with them. They CANNOT survive without a human host. They aren’t like fleas, they cannot live on pets or in your bedding/carpets. If someone catches them, soak their head with Listerine, cover it with a shower cap and let it sit for half an hour. Then rinse. Listerine not only kills the lice, but is also an amazing preventative-so go ahead and treat the whole family to stop the spread. Repeat in a week, and then in another just to be safe (nothing will kill the eggs. You have to kill them while they’re in the second life-stage-hatched but not laying their own eggs.) It’s really as simple as that! That’s a great solution– I hadn’t heard about listerine before! It literally saved my marriage🤣🤣 I ended up picking it up from a student and had extremely long hair at the time. My husband was threatening to buzz my head after hours of combing out my hair. Then we found out about listerine and it was SO easy!